Dr. Christie is a neuroscientist studying the effects of exercise on the brain. His laboratory employs a sophisticated array of electrophysiological, immunohistochemical, molecular and behavioral research methods to elucidate learning and memory mechanisms in the aging brain. He is particularly interested in the hippocampal formation and has conducted studies to examine its role in learning and memory throughout the lifespan. 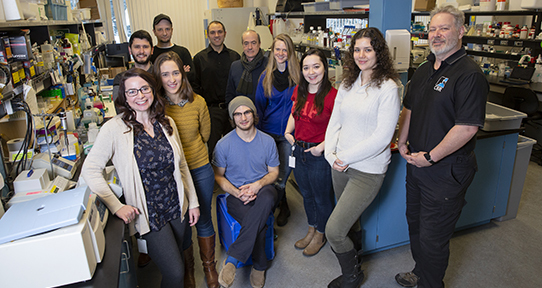 Researchers in the lab also use animal models of disorders such as Alzheimer's disease, fetal alcohol syndrome (FAS) and fragile-X syndrome to understand how neuropathologies can influence hippocampal structure and function. Dr. Christie has been featured in UVic knowlEDGE (PDF). He acknowledges with respect the Songhees, Esquimalt and WSÁNEĆ peoples on whose traditional territory the university stands and whose historical relationships with the land continue to this day. Donations support our students and faculty in their mission to produce internationally recognized advances in neuroscience knowledge. Support Dr. Brian Christie's research. My research investigates how developmental disorders, and other pathological conditions, affect the structure and function of the hippocampal formation, a part of the brain known to be involved in learning and memory processes. I am particularly interested in how the continual introduction of new neurons into the adult brain can promote enhanced learning and memory. My work employs several animal models of developmental disorders, including Fetal Alcohol Syndrome, Fragile-X Syndrome and Rett Syndrome. We hypothesize that these disorders affect a common set of structural and functional features in the hippocampus, and that their effects are functionally similar to those observed in Alzheimer's disease and the senescent brain. In short, all of these disorders involve some degree of altered neurogenesis and synaptic function. I believe that carefully examining what is altered in the hippocampus by each disorder will contribute to a basic understanding of how learning and memory processes occur in the brain. Many research programs are based around a single technical approach, and while this can have its advantages, in some cases it is somewhat self-limiting in terms of the types of research questions that can be tackled. The research questions of today and tomorrow, more often than not, will require an interdisciplinary approach to make any substantial headway. In my laboratory, we use a number of sophisticated research techniques in a convergent fashion to assess hippocampal structure and function. For instance, we have recently used behavioural analysis, electrophysiology, and immunohistochemistry to show that prenatal exposure to ethanol can impact hippocampal function well into adulthood. In addition we have also shown that exercise can largely ameliorate these hippocampal deficits. In these particular experiments we can show that reduced neurogenesis in the hippocampus recovers, that reduced synapse numbers can be restored, that reduced synaptic function can be restored, and most importantly, that behavioral functioning can be restored to normal levels. In this particular case, we have also just recently become involved in a group of researchers that will try to determine if these same benefits can be seen in humans with FAS/E. This highlights how I like to direct my research to better understand and alleviate a particular problem in an animal model, hopefully in a manner that offers an easy transfer of knowledge to the human population. Clyde Hertzman, director of the Human Early Learning Partnership (HELP) is fond of using the term "from cell to society", and this really describes the outlook I try to take in my research. I believe that by focusing on how a phenomenon (i.e. neurogenesis) can impact a behavior (i.e. learning) that we will be better able to understand both normal brain function, and how a variety of pathological conditions impact the capacity of the hippocampus. Ultimately, it is my hope to utilize the knowledge we gain about processes such as neurogenesis to help instigate the brain to actually heal itself, and thereby ameliorate the behavioural deficits that are characteristic of a wide range of disorders that involve neurodegeneration. This may sound grandiose at first, but really we have to look no further than our own skin to see how effective self regenerative mechanisms can be when they respond appropriately. Immunohistochemistry is primarily used in my laboratory to quantify where mitotic activity is occurring, and what phenotypes new cells in the brain are assuming. We can also use immunohistochemical approaches to determine the availability of different proteins at the synapse. The biggest difference between this technique and the rest of the histological approaches we employ is that the immunohistochemistry requires confocal microscopy to precisely determine the localization of different antibodies in individual cells. We also routinely employ techniques such as Golgi analysis to determine how different manipulations change dendritic profiles, length, and synapse numbers in the hippocampus. We really employ two distinct forms of electrophysiology in my lab, though both utilize common electrical principles. The first area involves performing field recordings from specific structures in the brains of anaesthetized animals (in vivo). In the second area, we use brain slice technology to perform either field or whole-cell recordings from hippocampal neurons in vitro. 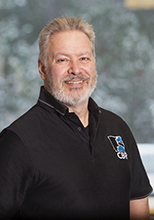 Few laboratories in the world have the capacity to address functional questions using both in vitro and in vivo approaches, and I am often sought out to teach in vivo methodologies to other individuals and laboratories from around North America. Because learning and memory can be quantified in the behaving animal, we often employ different behavioural tasks to determine how well animals learn different hippocampal dependent tasks (i.e. The Morris Water Maze). Because a variety of factors can influence behavioral performance, we also routinely assay animals for anxiety and motor deficits to determine if these are impairing our capacity to quantify learning abilities in the various animal models we employ. Most recently we have begun to examine how learning and memory is affected in a patient population in conjunction with the BC Cancer Institute. We have oligodendroma brain tumor patients referred to us by Dr. Brian Thiessen. We administer a series of brief mnemonic assessment tests to them before, during, and following chemotherapy. This patient population is high functioning, and uses a chemotherapy agent that does not have severe side effects. Never-the-less, like all chemotherapy agents, it halts mitotic activity in the brain. Our goal is to determine how this impacts learning and memory in humans -- we are carrying out this work in conjunction with animal experiments to determine exactly how much this drug affects neurogenesis and synaptic transmission in the hippocampus. Chronic minocycline treatment improves hippocampal neuronal structure, NMDA receptor function, and memory processing in Fmr1 knockout mice. Suk Yu YAU, Ph.D.; Luis Bettio, PhD; Mariana Vetrici, Ph.D.; Christie, BR, Ph.D.; Aaron Truesdell, B.Sc. ; Christine Chui, B.Sc. ; Jason Chui, B.Sc. ; Erica Truesdell, B.Sc. Neurobiology of Disease (in press). The Effects of Ethanol Exposure During Distinct Periods of Brain Development on Oxidative Stress in the Adult Rat Brain Brocardo PS, Gil-Mohapel J, Wortman R, Noonan A, McGinnis E, Patten AR, Christie BR. Alcohol Clin Exp Res. 2017 Jan;41(1):26-37. doi: 10.1111/acer.13266. Hippocampal Dysfunction and Cognitive Impairment in Fragile-X Syndrome. Bostrom C, Yau SK., Majaess N, Vetrici M, Gil-Mohapel J, Christie BR. Neuroscience & Biobehavioral Reviews (in press). Chronic minocycline treatment improves social recognition memory in adult male Fmr1 knockout mice. Yau, SK, Chiu C, Vetrici M, Christie, BR. Behavioural Brain Research 312(2016) 77-83. Time-course analysis of protein and lipid oxidation in the brains of YAC128 Huntington's disease transgenic mice. Brocardo S, McGinnis E, Christie BR, Gil-Mohapel J. Rejuvenation Research. April 2016, 19(2): 140-148. doi:10.1089/rej.2015.1736. The effects of hormones and physical exercise on hippocampal structural plasticity. Triviño-Paredes J, Patten AR, Gil-Mohapel J, Christie BR. Front Neuroendocrinol. 2016 Mar 14. pii: S0091-3022(16)30009-7. doi:10.1016/j.yfrne.2016.03.001. [Epub ahead of print] Review. PubMed PMID:26989000. Tracking Effects of Exercise on Neuronal Plasticity. Henriette van Praag and Brian R. Christie. Brain Plasticity 1(1): 3-4. Physical exercise-induced hippocampal neurogenesis and antidepressant effects are mediated by the adipocyte hormone adiponectin. Yau SY, Li A, Hoo RL, Ching YP, Christie BR, Lee TM, Xu A, So KF. YAC128 Huntington's disease transgenic mice show enhanced short-term hippocampal synaptic plasticity early in the course of the disease. Ghilan M, Bostrom CA, Hryciw BN, Simpson JM, Christie BR, Gil-Mohapel J.
Dr. Helle Sickman, PhD - Helle is currently working as a post-doctoral fellow at the University of Copenhagen and Lundbeck, in Copenhagen Denmark. Dr. Anna Patten, PhD - Anna graduated in April 2013 and is currently a post-doctoral fellow in the Christie lab. Dr. Brennan Eadie, PhD - Brennan is currently finishing is MD degree at UBC MED school in Vancouver, BC. Dr. Andrea Titterness, PhD - Andrea is currently a post-doctoral fellow at UBC. Dr. Jennifer Helfer, PhD - Jennifer is currently a post-doctoral fellow in Dr. David Harris' laboratory at Boston University School of Medicine. Dr. Timal Kannangara, PhD - Timal is currently a post-doctoral fellow in Dr's. D. Lagace and J.C. Beique in the Faculty of Medicine at University of Ottawa. Namat Majaess, MSc - graduated June 2013. Namat was accepted to the School of Medicine and Dentistry at the University of Western Ontario commencing September 2013. Crystal Bostrom, MSc - graduated November 2012, accepted to UBC MED - NMP Prince George commencing September 2014. Jessica Simpson, MSc - Jessica has been accepted to UBC MED - IMP Victoria commencing September 2012. Fanny Boehme, MSc - Fanny is currently a Ph.D. student in Dr. Kempermann's Lab, Dresden, Germany. James Chin, MSc - James is currently in MED school in Toronto, Ontario. Molly Neil - Molly was accepted to the Faculty of Medicine at the University of Alberta, commencing September 2013. Claire Sakiyama - Claire was accepted to UBC MED - IMP Victoria commencing September 2013. Eric McGinnis - Eric was accepted to UBC MED - IMP Victoria commencing September 2013. Adrian Cox - Adrian was accepted to UBC MED - IMP Victoria commencing September 2012. Aimee Kernick - Aimee was accepted to UBC MED - Vancouver commencing September 2012. Kristin Morch - Kristin was accepted to UBC MED - Kelowna commencing Septemer 2012. Erica Giles - Erica was accepted to Yale MED school commencing September 2012. Grant supports research costs for project on learning and memory processes. Grant supports research into mechanisms of learning and memory processes. Grant supports research on the effects of choline as a therapeutic agent following early developmental challenges.